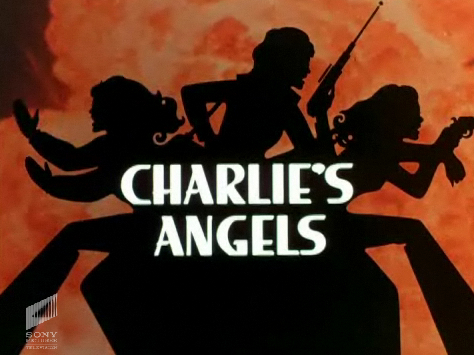 Any guy my age was ushered into manhood by those three beautiful women also known as Charlie’s Angels. Whether you preferred the smart and sassy Kate Jackson, the elegance of Jaclyn Smith, or the sheer beauty of Farrah Fawcett, we all had a favorite. I was a Jaclyn Smith fan myself. Unfortunately, they never made posters of her. No, those iconic posters were of Farrah. There were three of them and Spencer’s had t-shirts to match. I was probably too young, but somehow owned one of those t-shirts in the fourth grade. Two of my buddies and I even snuck them on school picture day. I’m sure our parents were thrilled when those proofs came home. When Farrah left the show, I handled it better than most because she wasn’t my favorite angel. The other factor was that I remember taking an immediate shine to her replacement, Cheryl Ladd. Like any youngster, I had dreams of being in the right place at the right time to help the ladies solve a case. Television shows run this fine line of reality for a child. I truly believed the day might come when I was walking down the street and their car would squeal to a stop in front of me. Each one would give a generous flip of their hair as they climbed from the car to approach me in slow motion. Fast forward to my college years. Among the many jobs I held, I actually landed one that involved some degree of responsibility. I was a security guard for a five star hotel/resort. Actually, they called us Loss Prevention Officers, which looked way cooler on our name badges. This was one of the swankiest hotels in Lexington, so I did get to meet a handful of celebrities over the year I worked there. I only got hired because I was willing to work the third shift a few nights a week. Working overnight demanded a good bit of schedule shuffling to get enough sleep for school, so I didn’t volunteer for very many extra shifts. I got called into Mr. Hebert’s office one night late in the week. He didn’t show up at the midnight turn of shifts unless something was wrong, so I feared the worst. “Myers, I’ve got a special assignment for you,” he said with a wry grin while perched on the corner of his desk. His tone made me instantly leery of his intent. I said nothing but waited for him to finish. Oh man, I was worried now. What was he going to make me do? I had no other option, so I agreed. It seemed harmless. I agreed, but dreaded finding out what this special assignment entailed. He went home and left me to my duties – poking around the property, flirting with the front desk attendant, and generally lollygagging. When 6 a.m. arrived, I sat in the fully charged golf cart waiting when who should exit the hotel door but Cheryl Ladd – in town to film the miniseries Bluegrass! My dreaded assignment was to follow the beautiful Angel Kris Monroe around for 45 minutes. Um, terrible duty. She was every bit as beautiful as I’d imagined and very kind. I don’t think there was a drop of sweat on her when she finished, thanked me, and went on her way. Later that morning, when the daytime crew showed up, John sat on the same corner of his desk with a smarmy grin on his face. “How was the night?” he asked. “Peaceful,” I replied so as not to arouse suspicion. “Excellent. The duty remains the same,” he said. So I worked a full week of that tough job. I thought about skidding the cart to a stop somewhere and jumping out ready to fight crime with Ms. Monroe, but there was no need. Each morning was peacefully dull, yet somehow incredibly memorable to this young man. You have a fan of your writing!!! Looking forward to more Posts! Oh yea baby. We are living now. Love it dude. Yes, it really is. The other star was Mickey Rourke. He didn’t jog though, fortunately.